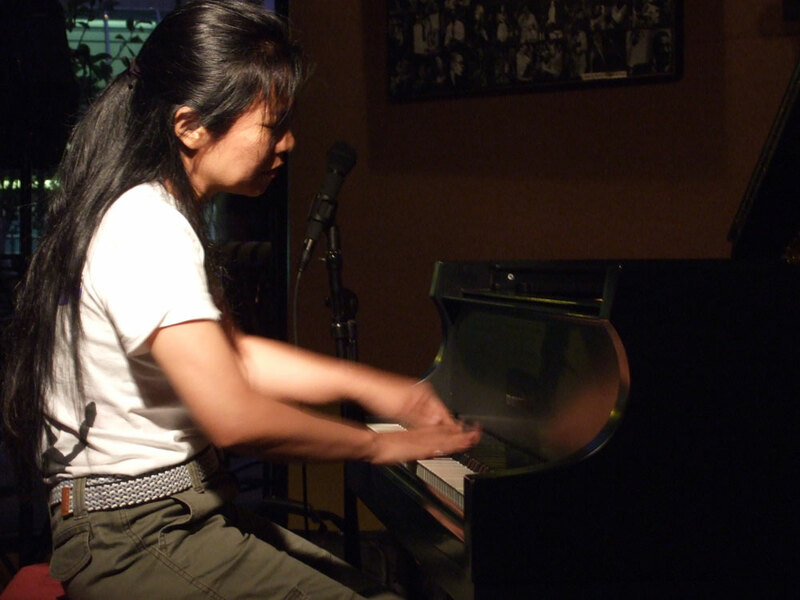 Since her 1996 duo set with Paul Bley on Something About Water (Libra), pianist Satoko Fujii has led numerous groups in widely varied formats ranging from free jazz to avant-rock to new-music chamber works. The possessor of a most formidable set of playing chops, she is, more interestingly, an intellectually engaged and refreshingly progressive-minded musician whose idiosyncratically shaped and harmonized compositions were given their most far-reaching and, not paradoxically, most beautiful settings in her long-running avant chamber-jazz quartet ma-do. That groupÕs Time Stands Still will be their last release, alas, following the sudden death of bassist Norikatsu Koreyasu, a pivotal architect of the bandÕs tough-as-nails performance style and resolute probing of the jazz formÕs structures, sounds and spirit. On Time Stands Still, KoreyasuÕs outrageous non-basslike howls, cries and percussive noise stick a fabulous fly in the ointment, like a resonating combative dialogue with the rest of the music being played ÐÐ a transformation of its character and even intent, possibly, giving the albumÕs tracks a thrilling musical ambiguity. Along with Natsuki TamuraÕs unclichŽd trumpet tone-warping (surprising note choices), drummer Akira HorikoshiÕs multifarious rhythms/anti-rhythms and FujiiÕs own arcanely derived yet decidedly melodic piano work, KoreyasuÕs novel bass propositions push and pull the quartet into fantastically fertile future-music fields. So how far could the ma-do ensemble have taken their conception of a new jazz/non-jazz music? WeÕll never know. Fujii understandably opted not to try replacing KoreyasuÕs idiosyncratic magic, and has formed a trio to record the recent Spring Storm. As aided and interpreted by bassist Todd Nicholson and drummer Takashi Itani, FujiiÕs latest compositions are superficially more Òpiano trioÓ shaped and colored, and she seems to be acting more in the bandleader mode on this set of tracks, which, while not as head-scratchingly out-there as Time Stands Still, do suggest great things to come as the trio finds its ÒgrooveÓ together. ThatÕs grooves in quote marks because this album proffers a largely abstract-painterly music whose song titles (ÒTime Flies,Ó ÒSet the Clock Back,Ó ÒBroken Time,Ó ÒTime Stands StillÓ) obviously reflect FujiiÕs mind and heart during its conception; while a ruminative/pensive melodicism ducks and weaves through most of the tracks, their subdued or suppressed emotions get rudely shoved out of the way via some rather spectacular playing by three uniquely gifted instrumentalists having, apparently, a lot of fun with our standard conceptions of rhythmic pulse, among other things. The title track, for example, is brooding and ponderous, then fiery, then a bit shell-shocked, then shakes it all off, still inquisitive and willingly exploratory; the fantastic dialogue/counterpoint in ÒConvectionÓ and ÒWhirlwindÓ also toy with the concept of time/rhythm in playfully mathy ways that manage to mood-swing a bit all the while. ThereÕs an inviting fresh-start feel to all this new Fujii music ÐÐ looking forward to the next installment.